International call center DATACALL has a call center of 120 positions, expandable to 200, located in Port Louis and is one among the most performant and successful of Mauritius in terms of technology. 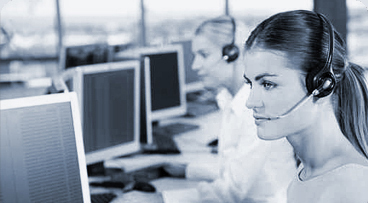 All DATACALL assistants speak perfect French and English. This bilingualism factor is an asset to a company that needs reach the markets in several countries. A solid capital structure DATACALL, whose turnover doubles every two years and has a rate of 2-digit result, is backed by one of the largest Mauritian powerhouse, leader in most areas where it operates and whose expertise brings synergies in the overall supply of DATACALL: incorporation, bookkeeping, sale or rental of vehicles, financial services. .. Many more expertise that can facilitate the implementation of more personalized projects for customers. A complete solution. DATACALL offers a range of solutions taking into consideration all the issues raised by the positioning of your business: satisfy your customers, winning and retaining new customers by improving your image and reputation. Thus DATACALL offers a complete all-in-one strategic support, call center services, hosting, dedicated unit, technical solutions (architecture call center, extranet, database Interactive …), dynamic Telecom offers (provision of Interactive Voice, No. colorful collection …), expatriates logistics support (housing, work permits, vehicle, incorporation, bookkeeping …). An offer financially competitiveDATACALL produce its services from Mauritius and this systematically financially benefit its customers. Thus it is structurally less expensive than the competition be it in France or offshore. DATACALL offers a billing model based on the principle of flexible loads so as to limit fluctuation of your fixed costs.